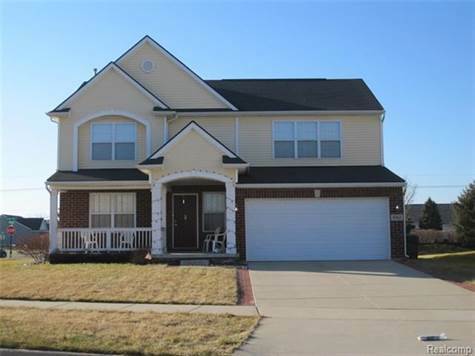 Garage: "Garage - Attached, Open"
Beautiful 3 bedroom 2.5 bath home in Creekside Village East. Home is on an oversized corner lot with 2,108 SF of living space.Open concept kitchen, with an island and Whirlpool stainless kitchen appliance package included. This home also features a family room complete with gas fireplace, two and a half baths and a loft that could be used as a office, playroom or den. Upstairs is the large spacious master suite with separate tub and glass shower and walk in closet, 2 bedrooms with oversized closets and second floor laundry rm! Entering from the garage is a large mud rm along with an attached storage rm. Full basement with egress window.Minutes away from major expressways, public library, local K-12 schools, restaurants, water park, apple orchard, golf course, and shopping centers. HOA dues cover the neighborhood association and there is an option for the neighborhood pool. THIS LISTING IS NOT AUTHORIZING ANY VIRTUAL VIEWINGS, A LICENSED AGENT MUST BE PHYSICALLY PRESENT AT THE VIEWINGS.